We are Student Switch Off: our vision is a world where students are empowered to take action against climate change, starting with simple changes to behaviour to save energy. Are you in? We’re a university campaign all about climate action, and each residence here at Sheffield is part of it. SSO gives you the chance to win prizes for yourself and a big end of year party for your hall, all while doing easy things to save energy and protect the environment. Yep – show us your saving energy by getting involved in our competitions (launched on Facebook & Instagram throughout the year) and you could win Ben & Jerry’s vouchers, or TOTUM prizes. The hall that saves the most energy throughout the year will also win the overall prize – a big delivery of Ben & Jerry’s for everyone to share! 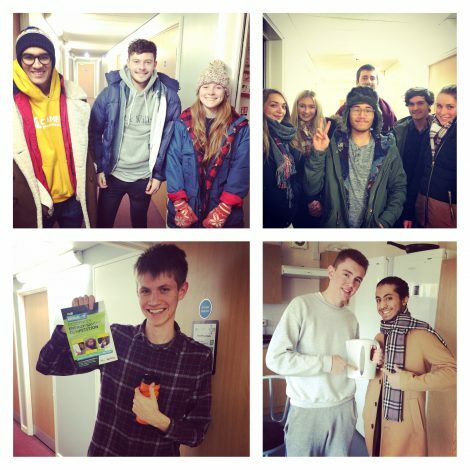 All students living in residences are automatically part of the campaign (all you have to do is start saving energy), but to really get going be sure to like our Facebook page and follow us on Instagram, this way you can see campaign updates, tips for sustainable living, and voluntary opportunities we have on offer. If you download the TOTUM app over the coming weeks, you’ll also get alerts about the campaign and other offers and activities for students happening locally. Click on the tabs on the left hand side for information on the residence leaderboard so far, key dates for the year, photo competitions, our climate change quiz, how to get involved and practical information on what can/can’t be recycled in your residence. Good luck in the competition!